Our members enjoy much conversation over the bridge table – and some friendly competition. 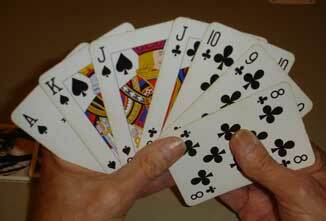 Duplicate Bridge, which meets on the last Tuesday of the month, 7 – 9:30 PM (Contact Nancy or Fern). New players are welcome! Please contact Nancy to confirm date and location. This entry was posted in Interest Groups and tagged bridge on June 12, 2012 by slhansen.